Marrakech, Spain, Corsica... go on an adventure and indulge in all your favourite summer activities during your stay in the country of your dreams. Enjoy a moment of tranquillity in one of our beautiful villas around the globe and enjoy unforgettable moments with family or two in a luxurious and contemporary residence. 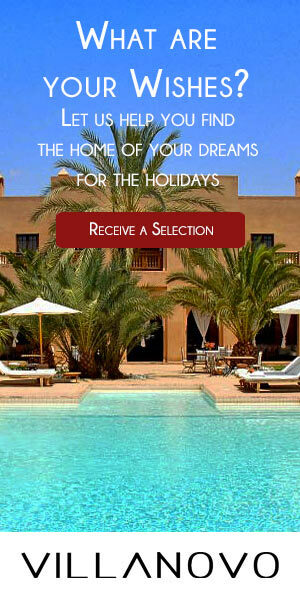 Want to dive into a decor that is both modern and exotic during your family vacation in Marrakech? Villanovo have selected for you the sumptuous Villa Noor Palmeraie, located about twenty minutes from downtown. And if you want to play golf nearby, this villa is for you. It is a few minutes from the famous golf courses of Marrakech and is ideally located for lovers of beautiful views. Decorated in a chic and Zen style, Villa Noor Palmeraie offers a breathtaking view of the majestic Atlas Mountains. Your desire for adventure leads you to Ibiza? Why not stay in the beautiful Villa 814 perched on a hill halfway between the beach of Cala Tarida and the San José area! Secluded and surrounded by pine and eucalyptus trees, your contemporary style villa invites you to relax with its spacious bedrooms, designer bathrooms, private pool and fully equipped kitchen. If you enjoy the beautiful panoramas, opt for an unforgettable stay in Villa Palombaggia, overlooking the city of Porto-Vecchio, in Corsica. Offering an exceptional panorama on the bay of Palombaggia, the villa awaits you and your family in a chic and modern setting. Embellished with an American kitchen and a splendid upscale garden, it will certainly make you want to spend long moments with family by the pool or in the lounge overlooking the sea. Offering a range of landscapes of breathtaking beauty, Villa Marc invites you to discover the wild and exotic nature of the island of Kea. It is precisely above a steep cliff, by the sea, that this sumptuous and luxurious villa awaits you, in a calm and beautiful environment. 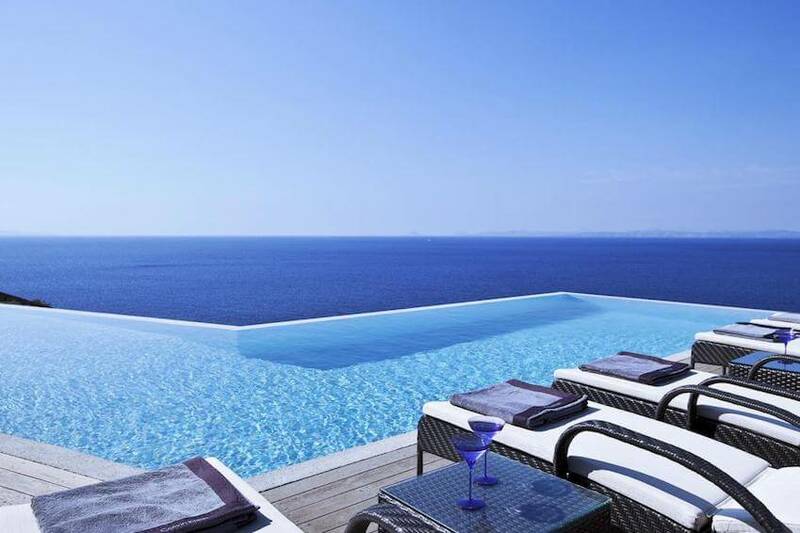 As one with this rocky and almost arid landscape, Villa Marc is distinguished by its large infinity pool that offers a breathtaking and captivating view of the Aegean Sea!